In the applet below, the graph of an exponential growth or decay function is shown. 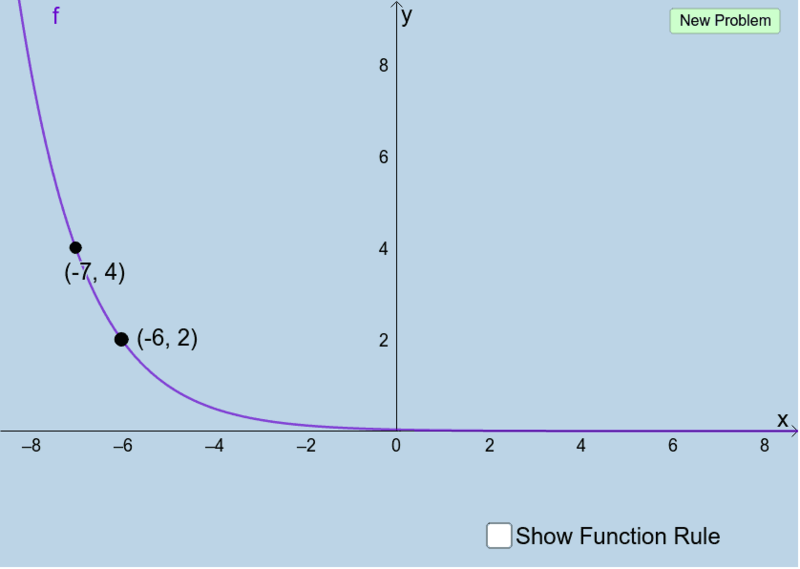 For any graph this applet generates, write a function rule for this graph. Check the "Show Function Rule" box to show 2 different ways to write this function. How do the results from your work compare with what is displayed here? Key Question: Given a function written one way, how can we algebraically write the other way (i.e. with different base)?